I needed some extra hydration for my skin (I'm almost 33 now), so after a long research I thought I could give this a try because it's on a good price. I've read so many positive reviews but for now I'm kind of not sure if it actually does something. It absorbs well and doesn't leave any sticky feeling but I don't feel the plumping and smoothing effect it claims to do. It's OK for now but it didn't wow me, so I'm waiting to try it for a few more weeks before I start searching a new hydrating serum. I saw this serum mentioned in some of Jaclyn Hill videos and even though I was skeptical I have nothing bad to say about this product, it makes my skin look fresh and smooth although I have oily skin. I use it only as night time routine and I couldn’t be more happy. As I start using this I have no issues with acne or blemishes and I use it only the tinniest amount. Will definitely purchase it again! Great product, I am using it especially when I travel, handy, simple, calming and hydrating product. I used up already a lot of packagings. I do have the most complicated skin ever, combo acne prone with dry patches around my chin and large pores around my nose...could a skin sounds any worse? And I was looking for a deeply hydrating serum to use under my mattifying foundation that doesn't break me out and this is it! 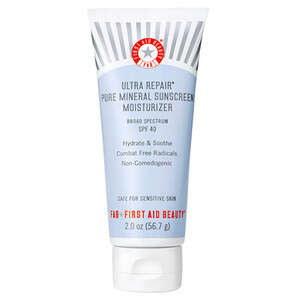 FAB ultra repair hydrating serum. This gave me evened plumped skin and not only didn't break me out it eventually cleared my skin! Didn't make me oily either. It's magic for me and I love it! Highly recommended for problematic skin. Read many online reviews regarding this serum and decided to give it a try, unlike most of the other serums I have used ,this is relatively inexpensive and does the job it claims . It is really hydrating and skin feels soft , plumped and since it is water based can be used by even sensitive acne prone skin like mine. 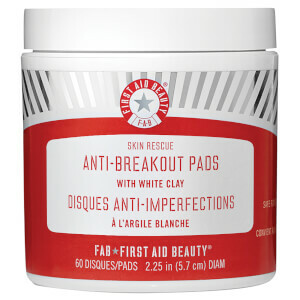 This is perfect for dry patches, redness or that slightly tingly, sensitive feeling that precedes a spot coming through. 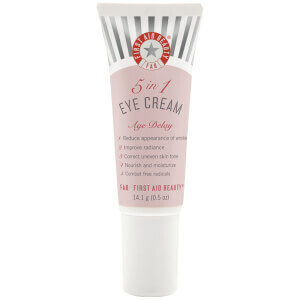 It also works really well as an eye serum. The gel texture is also ideal for combi/oily folk who prefer fresh-feeling water-based products. Love it, especially for the price, and will be restocking before it runs out. I read a review of this serum on "A Model Recommends" and thought it sounded like it might be right for me without stiring up any irritation and maybe would help smooth my skin out a bit. Other reviewers suggested it was good for dry patches but that was not my problem so I was pleased to find it did what I needed, smoothed the skin surface more than my regular moisturiser on its own and plumping up the lines a bit. My face looks a little more rested in the mornings now. I've only been using it for a week and I can already see a difference: my skin looks brighter, the dry patches are gone and no break outs to be seen. The serum has quite a thick feel right after you apply it, that's why I only apply it before my night moisturizer. But still, it absorbs quite fast. Considering the other more expensive products in the market, this one is quite affordable, so I definitely recommend it! Lovely serum. 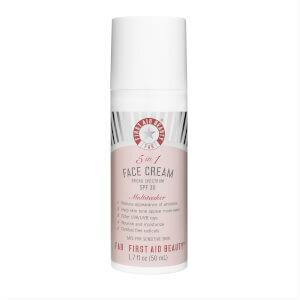 Non greasy, very good for oily skins if you require a bit of hydration without oiliness. Goes on well, only need one pump. Slightly tacky after applying so wait about 5 before applying a powder (I use a mineral powder and the powder tends to get a bit stuck if I'm too hasty!). Would be fine under a liquid foundation - no need to wait then. Fantastic brand I think.